Green facades or pre-grown creeper walls are different from green walls or vertical gardens. 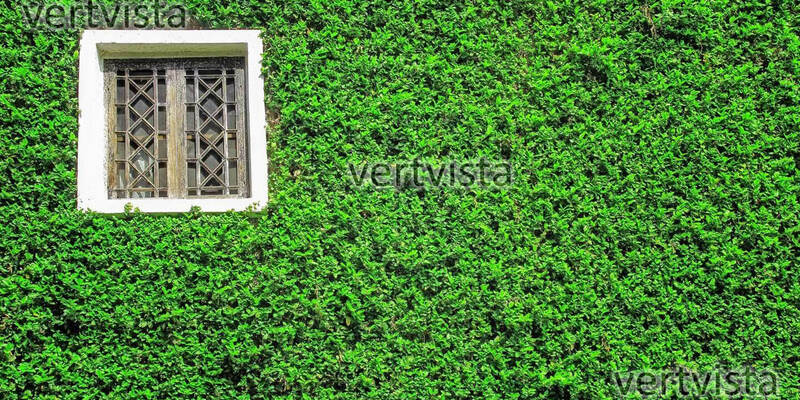 Green wall facades are created by creepers and climbing plants that are planted in ground (soil) or containers. A broad range of plant species can be grown depending on the micro-climatic conditions, availability of natural lighting, and location of the wall and design intent of the green façade. The green façade of creeper walls can grow upwards or cascade down. These creepers are easily scalable and take support of pre-fabricated 2D and 3D a structure to maintain their position, grow ahead, and survive through seasonal changes. Water-proofing and structural soundness and aesthetics are considered by our team to give a project with lasting economical green solution. Green facades or creeper walls are scalable solutions for creating vertical greenery on a mass scale. They require little maintenance and are more feasible in terms of time, equipment and cost spent on their maintenance. Green facades are more cost effective. Creeper walls can be grown to greater heights, over building facades without any restriction. Green facade walls reduce indoor air temperatures by reducing the heat flux into the building’s exterior walls and indoor space. Green facade walls can improve the energy balance of buildings through reflectance and transpiration.